LONDON, 4th October 2017 – For the year ending 30 June 2017, PwC’s firms around the world reported total gross revenues of US$37.7 billion. At constant exchange rates (or local currency), revenues grew by almost 7%, marking 20 years of consecutive revenue growth for the PwC network. “As the world changes and our clients’ businesses evolve, so PwC has been changing to meet the growing and increasingly complex needs of a much broader range of stakeholders and society at large,” said Bob Moritz, PwC’s Global Chairman. “Our strategy of investing heavily in technology, quality, innovative new services and recruiting top talent paid off with strong revenue growth across all our lines of business, both new and established, in FY17. While we remain optimistic about the future, we - along with clients - are planning for a wider range of economic and geo-political scenarios as we reflect on and learn the lessons of the past year. “We have the best brand in the marketplace and this, combined with the strength of our people and our reputation for client service, has driven strong organic growth right around the world. We continue to make selective, strategic acquisitions to strengthen our existing services and to accelerate the development of newer ones such as cyber security. The deal to take the 600 strong tax function of GE into our network is a great example of this and one that will redefine the model of tax advice and compliance in the future. “Innovation is the foundation of our success and we are embracing artificial intelligence, robotics and machine learning as we work to deliver success for our clients and stakeholders going forward. We’re also investing in areas such as our data privacy practice. As more and more data is generated and shared, and companies are exposed to new digital vulnerabilities, we're helping clients to develop their cyber security and privacy programmes, and respond to incidents. For the 12 months ending 30 June 2017, PwC’s combined revenues were US$37.7 billion, up almost 7% at constant exchange rates, despite some of the geo-political and economic uncertainty around the world. Our success is largely due to the hard work and dedication of our 236,000 people across the world who combine deep local and technical expertise in their work. Revenues rose in all major markets and across all lines of business driven by our investment in innovation, technology, new services and the power of our brand. In the Americas, revenues grew by almost 7%. Growth was steady in Western Europe, up by 4%, and much stronger in Central and Eastern Europe where revenues were up 13%. Revenue growth from Australasia and the Pacific doubled over last year rising by 10%, while sales from Asia were also up 10%, continuing the strong growth trend we have achieved over several years. Despite fierce competition, our Assurance operations grew strongly, rising again by 6% to US$16.0 billion. This growth reflects some significant new audit client wins and increasing demand for our broader assurance services. The pace of digital transformation in our clients' operations has redefined the market, driving exponential demand for digital trust in areas such as cyber security and privacy, advanced data analytics, as well as enterprise systems solutions. We also have a thriving Internal Audit practice, offering digital solutions in the areas of governance, risk and compliance. We're also helping businesses navigate the complex legal and regulatory landscape ahead, for example, by advising them as they get ready for the General Data Protection Regulation which will come into effect in May 2018 and creates challenges for every organisation doing business in the EU before, during and after the deadline. PwC’s Advisory operations grew by almost 8% to US$12.3 billion – a very strong result on the back of high growth last year and despite an uncertain environment for many consulting activities around the world. We saw particularly strong growth in our Strategy& and technology practices with growth of 17% and 20%, respectively. The significant growth in these areas demonstrates our success with providing strategy through execution value to clients. Revenues from our digital services grew strongly. With over 30 locations around the world and offices opening in Toronto, Japan, London, Stockholm and Zurich, PwC's Experience Centers are designed to stimulate creativity and collaboration, revolutionising how businesses go to market and operate at the intersection of business, experience and technology. Working closely with clients on-site at the Experience Centers, we create collaborative engagement models and services that help move organisations beyond current trends to focus on the future of business. While PwC works across all sectors, we saw very strong demand for our advisory services from the healthcare, technology, media and telecoms industries and private equity clients. Our Tax & Legal revenues grew by 6% to US$9.5 billion with growing demand for tax compliance and consulting work for direct and indirect taxes globally. With over 41,000 tax professionals, PwC has the largest tax network in the world. To meet the changing needs of our clients, we're investing in our tax outsourcing business. This year, we announced an innovative agreement with GE, hiring 600 of GE's tax team members from around the world and acquiring GE's tax technology to further our focus on the tax function of the future and the provision of services to global enterprises. Our tax operations also include revenues from PwC's global legal services network, which now has 3,300 lawyers serving clients in over 90 countries. We continue to see strong demand for services including international business reorganisations, employment and labour, mergers and acquisitions, and data protection. Revenues from our People and Organisation network also continued to grow on the back of increased demand for HR transformation, mobility and change management. We now have over 10,000 people working in this area. In FY17, our global headcount grew 6% to 236,235 people. We saw the largest headcount increases in Asia (14%) and Central Eastern Europe (13%). A record 59,252 people joined PwC firms around the world – including 28,238 graduates and 25,982 experienced professionals. In FY17 half of our graduate recruits and 45% of our experienced hires were female. PwC firms admitted a record total of 862 partners around the world with 25% female. For internal promotions on 1 July, 27% were female demonstrating the strengthening pipeline of female leadership. Our global presence remains strong with PwC firms in 158 countries having offices in 736 locations. We employ people with a broad range of skills, experiences and backgrounds and invest in their learning and development so they can continuously learn, grow and lead at all levels. Our culture – guided by our shared values – inspires our people to be their best. The technology investments we are making allow us to mobilise our people so they can serve clients faster and better than ever before. “The record number of talented people choosing PwC as their top choice to start and develop their careers is recognition that we are a premier destination for people to learn, grow and lead, in line with our ambition to be the world’s leading developer of diverse talents. Our long term commitment to diversity and inclusion is reflected in the type of people joining PwC and while we recognise there is still more to do, we have built a strong pipeline of female leadership talent,” said Agnès Hussherr, PwC’s Global Human Capital Leader. We believe in sharing our greatest asset – the skills, knowledge and talent of our people – to help drive change. Through our community investment efforts, we focus on maximising the potential of individuals through education and building the capacity of NGOs and social and micro enterprises around the world. This year, 59,704 of our people contributed 755,811 hours of their time, worth US$66 million. 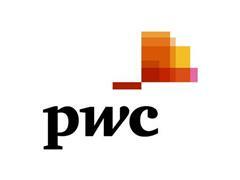 In addition PwC firms donated almost US$64 million to charities and community activities. Quality is the driving force behind PwC’s global operations and is the focus of very significant investment of both time and resources by our leadership and people. In FY17, we invested over US$500m to enhance the quality of our services. To demonstrate PwC’s commitment to quality, in our FY17 Global Annual Review we are publishing for the first time a detailed description of PwC’s quality processes and the results of our most recent internal audit quality inspection (www.pwc.com/annualreview). FY17 revenues are the aggregated revenues of all PwC firms and are expressed in US dollars at average FY17 exchange rates. FY16 aggregated revenues are shown at average FY16 exchange rates. Gross revenues are inclusive of expenses billed to clients. Fiscal year ends 30 June.